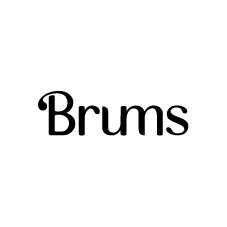 Brums is a brand born more than fifty years ago from the need to dress the exuberant personality of your child with style. A fashion made of moments, special days, that imagines every child with a dream in his eyes and a smile in his heart. The garments Brums are always designed to share the days of every child that wants to become an astronaut, or a sheriff, a ballerina or a princess. Brums has been following our moms and their habits for more than fifty years, giving importance to their different lifestyles and their thousand ways of being a mom today.